Reduce costly downtime with responsive Toyoda team support and service. To expedite calls, please dial 1-800-257-2985. This ensures the time of your call is noted and forwarded to the next available person. A maximum two-hour response time is our goal. Parts orders are received and shipped until 5 p.m. CST, Monday through Friday. For assistance outside our typical business hours of Monday through Friday, 8 a.m. to 5 p.m., please only use our main 1-800-257-2985 number. 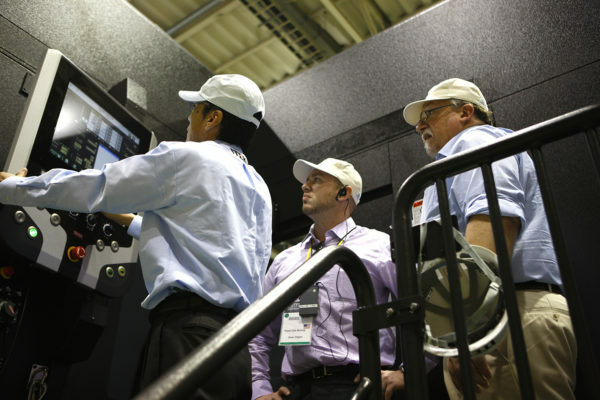 At Toyoda, we are committed in providing our customers with services that maintains the reliability of our machines. Safeguard your machine’s efficiency and longevity with Toyoda Preventative Maintenance. Our expert service engineers are factory-trained to keep your machines running right. With direct access to genuine original parts, we can secure your machine's OEM specifications. Toyoda offers special discount pricing for preventative maintenance packages. To learn more about the promotion for Level 1 and Level 2 packages, contact our support department. View a detailed list of inspection checkpoints for Toyoda's preventive packages.